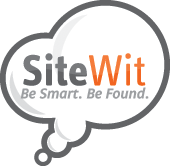 In the Google Marketing ---> Manage tab of your SiteWit dashboard, you can change your target audience by clicking the campaign(s) you wish to update. You can also click on the Edit (pencil) icon at the right of the campaign. After successfully landing on the Edit page, you can then change your geographical locations either By Country, By State/Province, or By City. As most locations are available for targeting, there are some restrictions by our search providers (Google, Bing, Yahoo). If your desired location is not showing up in our system, try picking other nearby locations. If you are unsure of where to target, feel free to contact our support team, or visit the How To Select the Right Targeting For Your Campaign article.